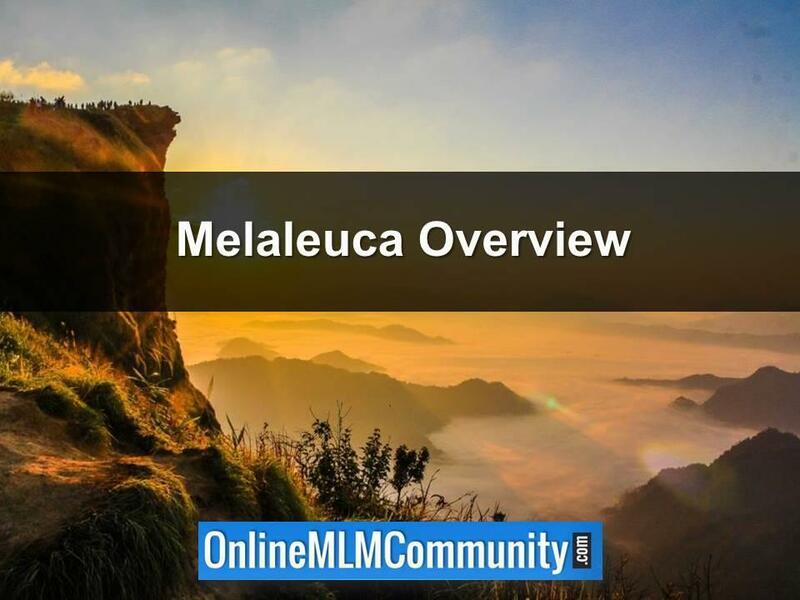 In today’s post, we will talk about the top 20 Melaleuca products of all time. These are the best products that the company has to offer and are definitely worth checking out. I spent some time in Melaleuca, sometime around 2003. I really enjoyed their products, but I decided the business wasn’t for me, so I closed out my account the same year. One thing that makes Melaleuca different from most other MLM Companies is that they have HIGH QUALITY products at grocery store prices. That’s one of the reasons they have so many repeat customers. The products are GREAT and people can afford them. Frank Vander Sloot launched Melaleuca in September 1985 to provide people with wellness products that were safe to use. He wanted to touch and transform the lives of people through his company. Melaleuca started with just a few products, but they now have more than 450 items to choose from. The headquarters of the company are located in Idaho Falls, Idaho and what started out as a small firm has now become a multi-billion dollar company. Melaleuca has also been named in Inc. 500’s list as one of the biggest and fastest growing wellness companies in the United States. They have a sound reputation for REPEAT CUSTOMERS, great products and fair prices. The company utilizes the network marketing business model and offers a 5 x 7 matrix compensation plan. 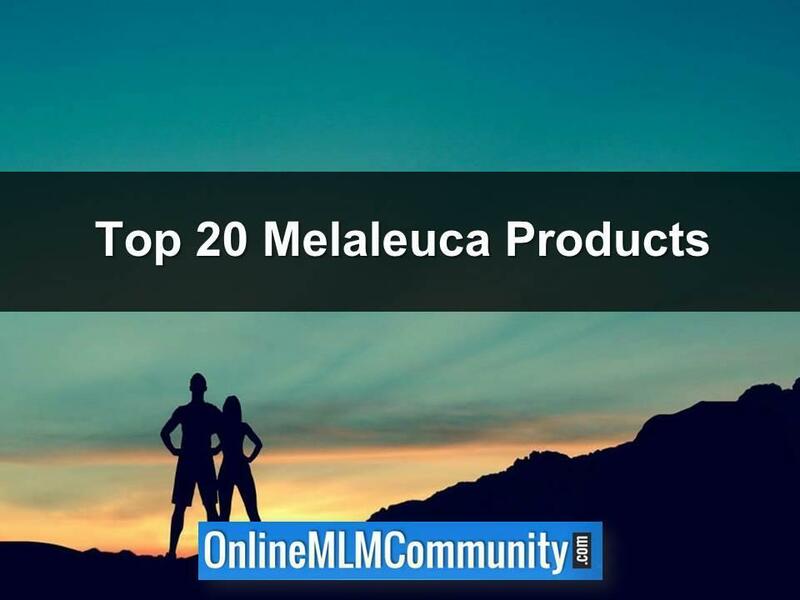 This is my list of the top 20 Melaleuca products of all time. By all means, we can agree to disagree. I have either tried these products myself, gotten the information from independent research, or interviewed several of my Melaleuca friends. If you hate that your toilet still smells despite having cleaned it multiple times, you should try the Safe And Mighty Toilet Bowl Cleaner. This thoroughly cleans your toilet bowl and does not have any chemicals in it so it is environment friendly as well. Even if it accidentally spills on you, relax, there are no side effects as there is no harmful chlorine bleach in this product. Use it just once and note how good your bathroom looks as well as how fresh it smells. This is no doubt one of Melaleuca’s best products and keeps your hair silky and smooth. Just apply this hair oil to strengthen those gorgeous tresses and this will also help keep your hair conditioned and ready to be styled into the style that you want. It keeps your hair clean and looking as young and stylish as ever. To add that extra something to your outfit and attire when you go out and party or for just a quiet dinner with your loved one, you need the Sei Bella Lip Gloss. These lip glosses have no artificial ingredients and even have age-defying components that will protect and nourish your lips for a long time. These lip glosses moisturize your lips and keep them soft. You can choose from 18 different shades which range from light Pink Pearl to Golden Glow, Red Poppy as well as Black Cherry. So go ahead and get that perfect pout with these lip glosses. When you use Body satin lotion your skin will feel pampered and as young as ever. The Butter Silk makes your skin soft and supple throughout the day. There are four fragrances you can choose from: Original Scent, Pear Raspberry, Caribbean Coast and Weekend Chic. All four fragrances will make you smell good and keep you in good spirits. You can choose the fragrance of your choice depending on whether you want a more sweet or citrus tone and keep your skin revitalized and refreshed. If you love sweets but also want to maintain your figure, you can sip on the Peach Cobbler GC Control shake that combines sweet cream and fresh peaches to give you an absolutely delicious drink. You satiate all your sweet cravings and also feel energized and refreshed as it is a low glycemic shake that helps you keep your weight in check as well. Have a glass or two per day instead of that bar of chocolate and watch how you stay in shape while tantalizing your taste buds. If you are a coffee lover, you must try out the Melaleuca Mountain Cabin Premium Coffee. The Arabica beans have been grown with soil that is rich in minerals and are then carefully selected, ground, roasted and then packaged. The entire process is 100 per cent natural and no chemicals have been added at any point so you know you are getting good flavorsome coffee. You can choose from seven different flavors that include: Organic Signature Blend, Organic Rainforest Blend, Kona Blend, Hazelnut, Vanilla,100% Colombian Decaf and Hazelnut Decaf. You can also try out Melaleuca’s specialty drinks that are perfect for any get together. These include Mountain Cabin Caramel Apple Cider, Mountain Cabin Double Chocolate Hot Cocoa and Mountain Cabin Luxe Vanilla Cappuccino. Have you ever had a bath and still felt like there is some dirt and grime remaining on your body? Well then, it is time to use the Melaleuca Exfoliating Body Bar that makes you feel completely refreshed and removes all grease, oil and dirt from your body and keeps you smelling and looking good and new. Use this daily to keep yourself as young as ever and it also keeps your skin moisturized and soft. When you lose your focus and have trouble concentrating on a task at hand, dab a bit of the PURE Sharpen Focus Blend. This essential oil will help you become alert and aware again and keep you focused on the task at hand. It combines 10 oils that include Basil, Lemon, Rosemary, Frankincense, Clary Sage and Peppermint. The bright citrus notes of these essential oils will keep you on your toes at all times. We all have those moments where we just work ourselves up and need to relax. If you feel like just taking a breather in the day or want to unwind after a long hard day’s work, use the PURE Lighten Stress Blend that combines 17 oils that include Lavender, Tangerine, Ylang-Ylang, Rosemary, Roman Chamomile and Bergamot. These sweet citrus oils make you not only feel lighter but also help you sleep better. Just apply a little or spray a bit in your room and you’ll be off to bed within no time. A good option for the insomniacs out there! If you feel slightly under the weather and want to boost your mood, you need to take a whiff or apply some PURE lime oil on you. This essential oil has been extracted in a totally natural process from the lime peel. There are no artificial substances that have been added so it is completely safe for all kinds of skin. The citrus aromatic smell of this essential oil will immediately pep you up and make you feel more calm and relaxed. The smell will keep you refreshed and rejuvenated throughout the day so go ahead just use a bit on yourself and note the difference. If your hands get dry easily and you find you have to keep moisturizing your hands every five minutes, this product is for you. The Body Satin hand cream combines antioxidants found in Vitamin E and white tea to make your hands soft and supple throughout the day. The Butter silk and Egyptian blue lotus flower in this cream make your hands smell as good as it looks and since there are no added chemicals this works well for those with sensitive skin as well. Use it daily and watch how your hands glow and look as young as ever. If you have hands that look and smell great, you automatically feel younger and good about yourself. This is the case when you use Melaleuca’s hand soaps that contain butter silk beads that make the skin smooth and supple whenever you sue it. These beads are filled with glycerin, cocoa butter, sunflower seed oil, mango butter, jojoba oil and shea butter that are all powerful antioxidants and help keep your hands moisturized and free from germs. It prevents your hands from becoming oily but also moisturizes it so that it doesn’t get dry. It also makes your hands smell amazing and there are three scents you can choose from: Mountain Rain, Grapefruit Splash and White Tea and Ginger. Using these hand soaps will not damage your hands in any way as there are no additional compounds that are added and everything is environment friendly. Use these soaps today to make your hands the talk of the town. This heavy duty cleaner is perfect to remove any grease stains from your furniture or table tops. Just dab a little bit of this effective liquid on a cloth and scrub away. You can even apply it without gloves as all the ingredients are natural and will not harm you in any way. There is no ammonia or chlorine bleach present in this cleanser. Its biodegradable formula helps you remove persistent stains with ease while remaining environmental friendly. It is the perfect product to use daily to make your house look as good as when you bought it. This is easily one of my favorite Melaleuca products. I’ve been using the Alloy Body Wash for years. Some of my friends order it for me when ask them to. It is the BEST-SMELLING body wash I have ever used. My wife loves the smell on me, so I’ll take that as a rock solid testimonial. It makes my skill feel fresh and clean. I don’t use it every day myself, but I try to use it once a week as a special treat. At times you may have experienced severe aches and pains in your body, especially after a strenuous workout or some physical activity. To help you ease the pain of sore muscles and regulate your body’s blood flow, Melaleuca started the Pain a Trate cream. This cream has four ingredients, namely menthol, camphor, Methyl Salicylatea and Melaleuca Oil, that all combine to ease any muscle pain and help relax your body’s joints. This product numbs your pain, and does not leave you smelling of any chemicals or stimulants as it does not contain any. When you clean the house with a normal disinfectant, your house may look cleaner but the bacteria has not been removed as yet. In fact since the bacteria keep multiplying, you are probably helping in spreading it around the house. The best way to get rid of these viruses daily is by using Sol-Ul Guard Botanical disinfectant that combines thyme oil and citric acid to help get rid of all germs. And it is completely safe and environmental friendly. This product is perfect for those who love keeping their houses spick and span and don’t like any sort of marks on their walls or furniture. It not only removes the stains but also freshens up the air too. It can also be diluted with water and used as a daily cleanser. It contains no ammonia or chlorine bleach and thus is not harmful for you or your family members. This product is very useful in getting rid of any permanent marker stains and also helps do away with any mildew or pet smell in your house. You can use it with either cold or hot water and it can remove tough stains like blood, grass, mud and chocolate as well. All the ingredients are eco-friendly and thus you don’t have to worry about accidentally spilling some of this product on yourself. You can choose from four different scents: Mountain fresh, Garden Lavender, Island Breeze and non-scented as well. St.John’s wort is widely believed to help boost mood and provide some relief from depression. You can read my testimonial and learn more about the Luminex right here. I wouldn’t be surprised if this was Melaleuca’s top-selling product. Amazing would be an understatement. My wife uses this product daily. She says her skin feels completely hydrated when she uses it and the hydrated feeling lasts for hours. And, she says it is the best lotion she has ever used in her entire life. I’d also chime in that my mom, aunt and several of my other close friends have similar testimonials about the Renew lotion. That’s why it made the top of my list! This is the one product everyone should try! In review, these are the top 20 Melaleuca products of all time, as I see it. Keep in mind this is just my opinion and we can agree to disagree. What are your thoughts? What are your favorite Melaleuca products? Leave a comment below and let me know what you think. Melaleuca is a registered trademark. I am in no way affiliated with the company. The products are not designed to treat, cure or prevent any disease. Individual results will vary. Thanks for your top 20. I recently joined but, wasn’t really sure what to pick they have a lot to choose from. Yes, they have some of the best products in the industry and their prices are exceptional. I still use some Melaleuca products from time to time even though I am not affiliated with the company. Great write up I’m currently with Melalecua and love all the products they offer! I’ve set up a system to help new reps get success and get to director asap! Great company. Glad you like them. Melaleuca does have some superior products. As a matter of fact, there is a Melaleuca store not far from where I live here in Puerto Rico. I have purchased a few of their items, and I did find the prices to be high, but the quality makes up for it. You do get what you pay for. I love their laundry detergent and the hand soap. Both of them are on your list I see. The only item I disagree with on the list is the coffee. Living in Puerto Rico where the best coffee in the world is grown, I highly doubt they sell much of that coffee here, because to me, it tastes about like Folgers. I never new PR was known for coffee. I thought it was Colombia. Yes, the U.S. gets a lot of coffee from Columbia, but we have the best. The problem is with Puerto Rico being a territory of the U.S. is the issue with shipping. Only the Merchany Marine can be used and the costs are much too high and they would have to charge outrageous amounts there for you to have our coffee. Also, minimum wage standards are a problem for small coffee farms. They cannot afford to pay pickers the wages, so much of the coffee goes to waste. I have 2 favorites here…Mami coffee and El Coqui coffee. I need to send you some so you can try it. Awesome, thanks for sharing, Greg.